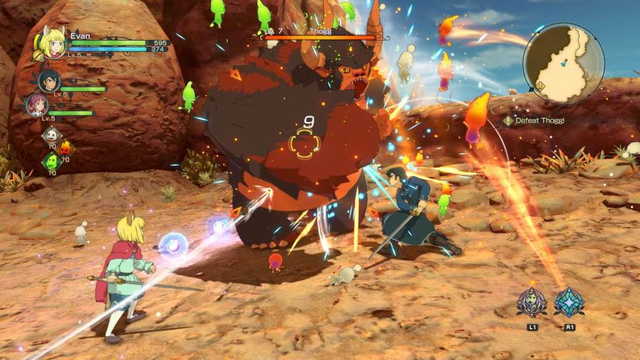 Ni no Kuni: Wrath of the White Witch was a game that impressed many players, a product of a collaboration between the expert in RPG, Level-5, and the animation studio Studio Ghibli. However, it has been several years, and the sequel took much longer to arrive than we expected, and even more, doesn't have the collaboration of Studio Ghibli. It is therefore natural that many fans wonder about the merit of this game, and whether it will be able to match the original. The simple answer? No, do not "match" - it's better. Like the previous game, the story will soon introduce you to a young protagonist, although in this case, it is Evan Pettiwhisker Tildrum, a member of the royal family of Ding Dong Dell. After an invasion, Evan has to flee his kingdom, but not before meeting Roland, a boy from the 'real' world who is sent to the realm of Ding Dong Dell, and who ends up helping Evan escape the palace. Together they decide to form a new kingdom, the kingdom of Evermore. 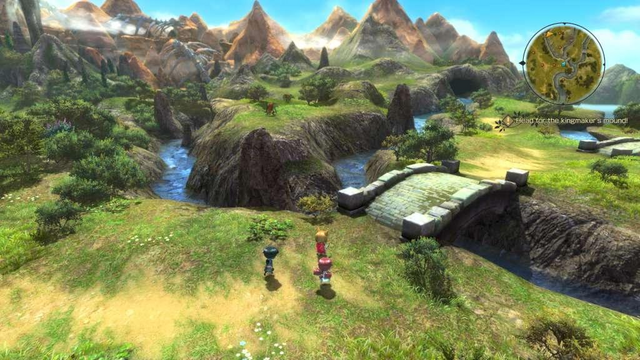 The game is presented as if it were a fairy tale or a children's story. Evan is quite young, an optimist and idealist by nature, sometimes too much, but it's that personality and even ingenuity that allows him to recruit several characters throughout the adventure to join his new kingdom. His hope is contagious, and this makes Ni no Kuni a heart-warming game. The comparison we make to fairy tales does not apply only to the narrative, but also to the visual, a kind of fairy tales anime version. The colors of the game jump on the television with great vivacity and the style of art are enchanting. Just look at the protagonist Evan, who runs the world with his crown and his red cape as an icon of hope. The detail of the characters and the world is impressive, with features reminiscent of the animated films of Studio Ghibli, and the many locations they visit have their own characteristics. While Goldpaw seems inspired by the bright lights of Taiwan, Hydropolis has a greater Mediterranean influence, and Broadleaf is the equivalent of the Steampunk style in this universe. The characters themselves are also very distinct, with well-marked characteristics at the level of the visual and the personality. Ni no Kuni II is also a Japanese RPG, and fulfilling this tradition, can expect a long tutorial around 10 o'clock. Not that in those hours nothing interesting happens, far from it, but it is a period of great exposure to the story, the characters, and various game mechanics. The first step is with the move, and then with real-time combat. It will be familiar to anyone who is accustomed to third-person action games, with a handheld camera delivered to the right analog, fixed target sight on enemies, and combinations of fast and strong attacks while blocking or deflecting enemy attacks. In a way, it reminds us of, though much simpler and easier. Then you begin to unlock more actions, such as spells and long-range attacks, but it is a balanced combat system in the sense that you need to use attacks to perform special actions. To use spells you need to charge a power bar, which is charged with attacks to the enemies, forcing them to use a mixture of both. You will have to learn to live with the Higgledies, a group of little-colored creatures that you will meet in the early hours of play. When you can muster them on the battlefield, the Higgledies give them access to a range of special abilities, from forming a huge cannon to creating a healing circle for the group. There are several teams of Higgledies, and each has its own personality. For example, the shyest Higgledies cannot be used very often, giving way to the more confident creatures. To be able to use the Higgledies effectively you have to mix them in combat, and believe me - you will desperately want your help going forward in the game. The most challenging moments of the adventure tend to appear during battles with bosses, clashes that usually force them to uncover the weak spot of the enemy to get him down. You will not be able to win if you always use the same tactic, and you will have to adapt to each confrontation to be victorious. Ni no Kuni II also uses some elements that seem to have been taken from older games, such as navigation on the world map. Here the characters become smaller caricatured versions while traveling from location to location. While browsing this map you can find more enemies, but also surprises. Be careful of opponents' levels, however, especially as there are some special enemies that are particularly difficult to defeat. If you do, however, you will be rewarded as you go. As you advance, you will also unlock the Skirmishes mode, where you will also play with these small character avatars. Here you will command an army in combat, in a style of gameplay more towards the strategy than for the direct combat. If you're wringing your nose at this proposal, do not worry. With rare moments, the gameplay of Skirmishes is not mandatory, and it is also simple and accessible. you can choose up to four units to accompany you, whose abilities are activated with R2. These units surround Evan but can change their position with R1 or L1. Combat works in a kind of stone, paper, scissors game with better units to deal with different types of enemies, gaining more strategic quality with the ability to summon reinforcements, special abilities, and the ability to destroy enemy fortifications. I have already talked about the "base" experience in the third person with the traditional movement and combat system. We've also talked about the Skirmishes and the little soldiers you can command. Kingdom mode is missing. As we referred to the beginning, Evan wants to build a kingdom and can help him achieve his goal. The kingdom has a humble beginning, but as time goes on, you are getting money and resources that you can use to improve and expand Evermore. you can build gardens, training zones, hunting grounds, cathedrals, houses, and more. 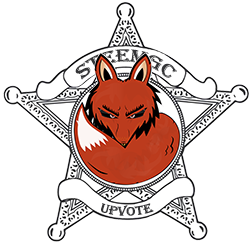 This increases Evan's influence, which can be used to recruit citizens into the kingdom. This is where the secondary missions come on the scene. No one is just going to leave their house to live in Evermore. 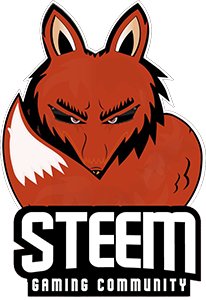 Usually, you will need to fulfill some mission or desire for the individual to accept to move, and with this, you will also gain experience points and rewards for the characters. You can then assign roles to each citizen, depending on their individual capabilities. There are cooks, blacksmiths, hunters, and other similar professions you can designate. Each citizen also has different levels of experience, and if a veteran will be an excellent immediate addition to the kingdom, others may add little. However, as you perform their function, you are evolving and contributing more positively. All this can be used to create new units for the army, or build better equipment, for example. When I refer to the first 10 hours as a giant tutorial, we are actually saying that all these mechanics are introduced over that time. After that you can, to some extent, invest the time you want in each area of the game. 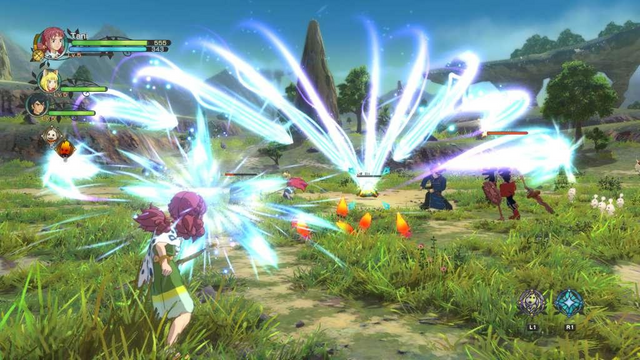 Ni no Kuni II is quite flexible in this aspect, allowing the player to dedicate himself to the areas of the game that he likes, without penalizing him for ignoring others. It's an extremely ambitious game in terms of mechanics working together, and it's also a bustling game. There are many secrets to discover as you explore, and innumerable side quests to fulfill if you so desire. And even though these missions are sometimes not the most imaginative, each mission is associated with a character with its own story, something that added more relevance to each mission, whether it was the simple act of helping prepare a meal, or something more complicated how to rid a zone of monsters. Ni no Kuni II is a very clear Japanese RPG in terms of "good" and "evil", where everything is more or less clear. It is a game of hope, about the desire to create something genuinely good, however utopian it may seem. Comparing with something like The Witcher 3: Wild Hunt, for example, which has a much more crude and realistic view, Ni no Kuni II seems childish in comparison, but, like the protagonist Evan, is so committed to this vision, and has a conviction so strong that it wants to be, that it is difficult to resist its very special charm. All these themes and mechanics come together to create an incredibly beautiful and emotional adventure, although not everything is perfect. The biggest flaw is the lack of voices in some dialogues, something that is common to many Japanese games, but which is increasingly difficult to accept compared to Western games. Even low-ambition projects and features include fully reproduced voice dialogues, and we liked that Ni no Kuni II had also benefited from it. It's something that would help add even more immersion and emotionality to the story. Also, note that you can choose to play with voices in English or Japanese. Incidentally, Ni no Kuni II: Revenant Kingdom has few flaws in our opinion. The narrative gripped us and thrilled us, the combat system was always satisfactory, the sections with the army helped to vary the action, and building the kingdom is a great extra goal to pursue. All this wrapping in a phenomenal style of art exemplarily reproduced for the screen. 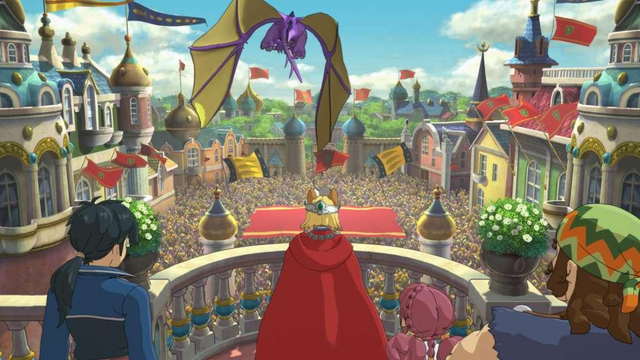 For the part that touches us, Ni no Kuni II is an instant classic, mandatory for fans of the genre regardless of their age. Nicely written. I know a friend that is heavily into this game. Well done!